You cannot use plug-in functionality unless you enable it. You can enable/disable plug-in from general tab of plug-in configure page. Bundle title will be displayed when displaying bundles on product details page. 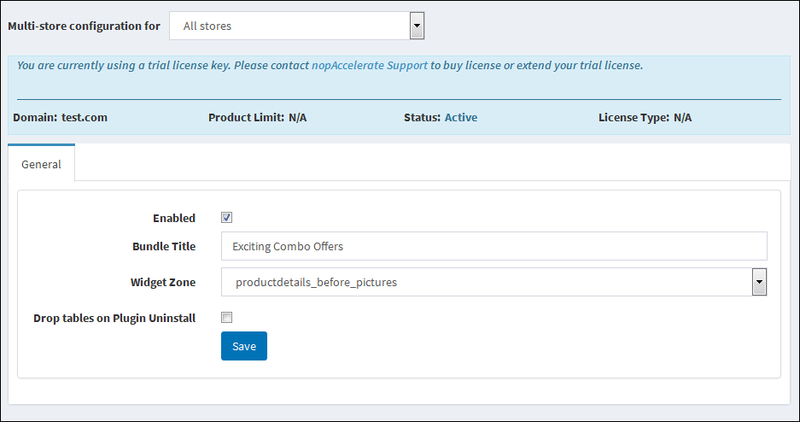 Widget Zone will define part of product details page where your bundles will be displayed. You can choose to delete bundle related data from the database when you un-install the plug-in.